On November 24, 2013 Gorenje presented its new Gorenje Simplicity Collection to over 200 business partners and guests from Bosnia and Herzegovina. The new technologically advanced collection that memorizes the user habits and program choices was launched at an event featuring the popular singer Halid Bešlić. Uroš Marolt, the director of Gorenje's Sarajevo subsidiary, presented the new Gorenje Simplicity collection to the guests by highlighting its technological features and design that will surely please even the most demanding customers. »Simplicity is also a part of Gorenje's vision to become the best in the world in design-driven innovation in the field of home appliances,« he explained, convinced that the new collection carrying the slogan »Do not adapt to the appliance, let the appliance adapt to you« will win the trust of the consumers across Bosnia and Herzegovina. 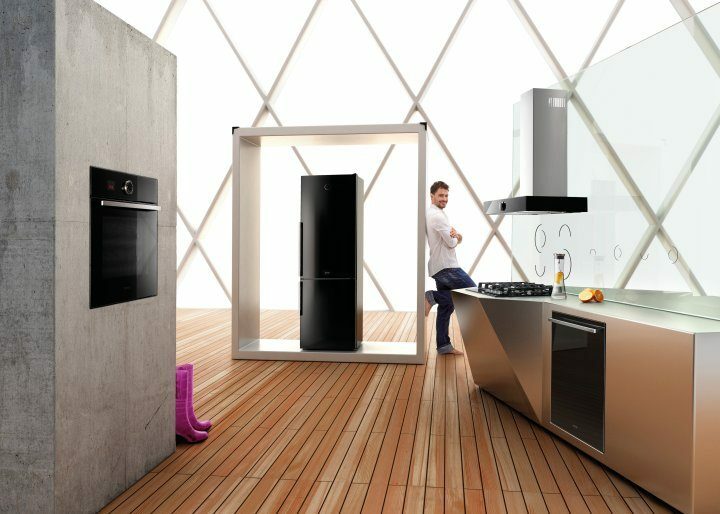 The Gorenje Simplicity Collection stands out with elegant lines and distinctive minimalistic "simplicity" style. The collection comprises an entire range of home appliances in black and white; their aesthetics allow them to blend in perfectly in any home. The Collection boasts numerous technical and user advantages. The most obvious one is control of the appliance by a single knob with the most frequently used selections immediately available. Owing to the smart technologies such as AdaptBake, AdaptCool, AdaptAir and AdaptWash, user settings are memorized and offered the next time around. All that's left for the user is to press the knob to confirm. In addition to the pure lines, genuine materials, and smart ergonomics, the collection is very convincing with is affordable price and energy savings made possible by economical appliances rated in energy classes up to A+++.